If you are a freelancer or an employer you will want to know how productive your working hours are. 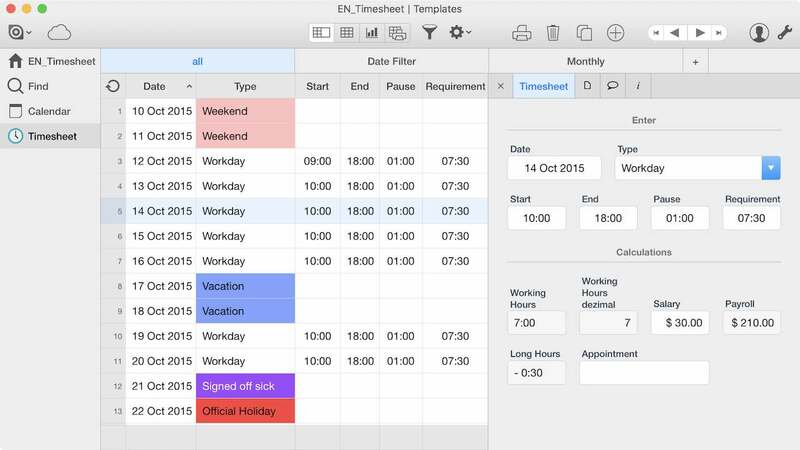 Get this template to easily track time and cost. Organize your workforce, sign in and sign out. Calculate wages with given hourly wages. Mark holidays and weekends. Ninox allows for complex filtering. Monthly overviews and costs per employee are included. Easy data visualization. Calendar view. Overtime Compensation. Create your app with this highly flexible and customizable template.